The Integrity Initiative is a multi- sectoral campaign towards the re- establishment of acceptable integrity standards among various sectors of society—business, government, judiciary, academe, youth, civil society, church and media. Led by the private sector, the initiative aims to help in diminishing, if not fully eradicating, the vicious cycle of corruption in the Philippines which has not only exacerbated poverty but has likewise obstructed the development of a competitive business environment that operates on a level playing field. 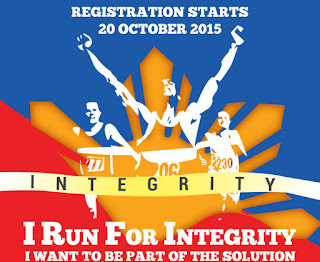 In support of the Integrity Initiative, the "I RUN for Integrity" is envisioned to be a historical running event and a bold move of all sectors calling everyone to make integrity everyone’s business. 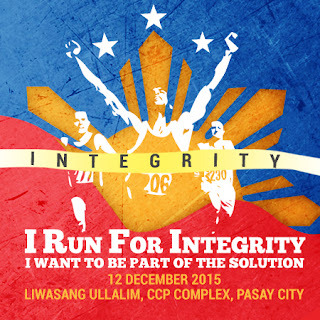 With over 12,000 total runners participating in the 2011 and 2012 editions of the Integrity Run, another show of force by advocates for integrity will be held this year. 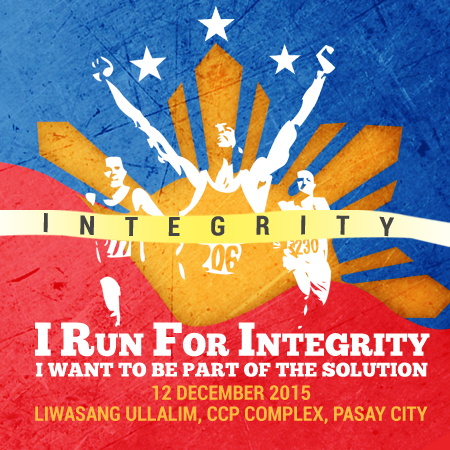 The I Run for Integrity will bring together government, business, youth, civil society, academe, church and media in a symbolic gesture aiming to unite the participants towards the common goal of being part of the solution in fighting corruption. You may also check eccp calendar for addtional information. 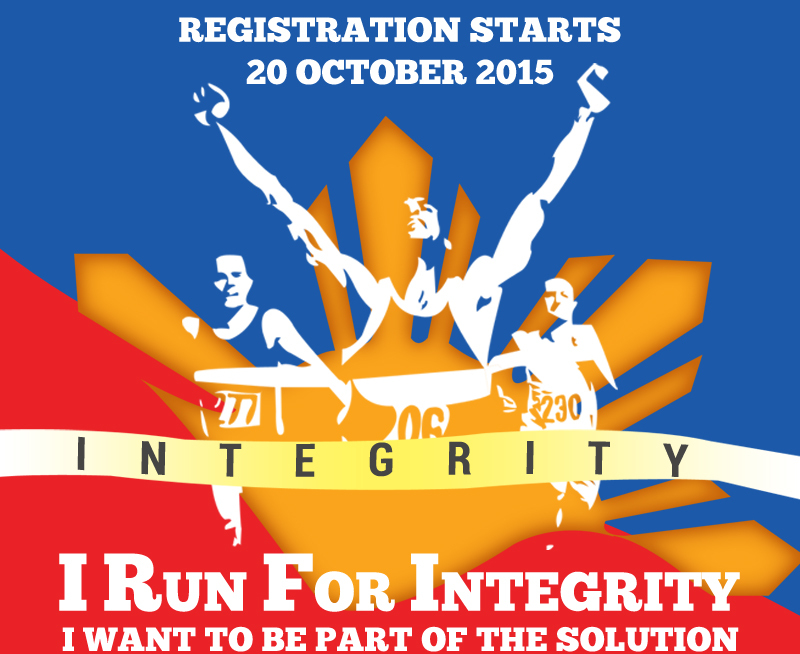 Registration Starts on October 20!